Are the team engaged and motivated by their individual and organisational goals? Do they feel supported by their leader? Are they feeling positive about their role? A negative response to any of the questions above can indicate a poor team climate. Why does team climate matter? 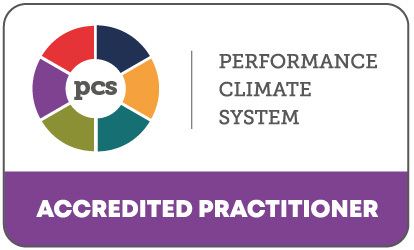 We are accredited to provide coaching around a tool called PCS (Performance Climate System). Using PCS as a starting point, we will assess and help your leader improve the climate of your team. After measuring climate across 18 critical areas via an online survey, the tool provides quantitative and qualitative feedback. Our accredited Coach will then support the leader in interpreting the report and taking action to narrow the gap in perception between themselves and the team. If you're serious about improving team performance within your organisation, arrange a conversation with one of the Crisp team about PCS profiling with coaching support.